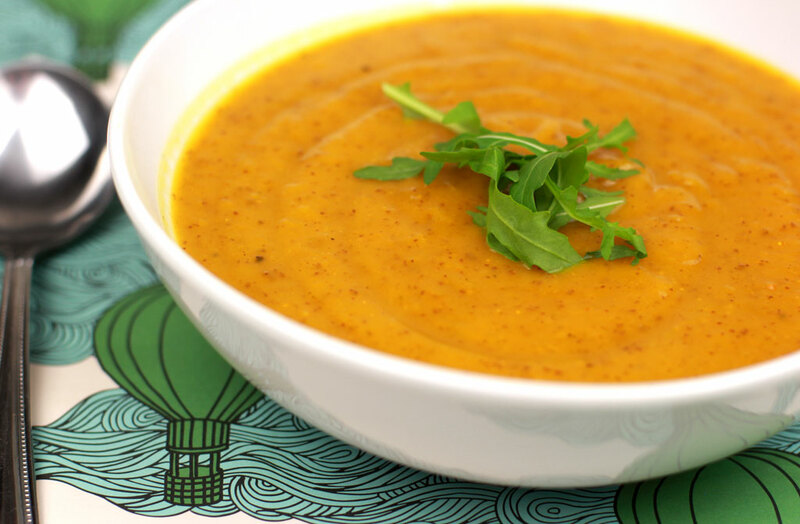 This clean vegan soup near kills me, because it contains very few ingredients, but it is unbelievably delicious! It is particularly good to make when you are trying to ward off that lingering flu/cold and you want to build up your immune system (which is how this recipe was born). It centres around one main ingredient – the sweet potato. The sweetness of this tuber, together with the curry powder, delivers an explosion of flavour as well as providing some amazing health benefits along the way. Curcumin is the magical phytonutrient in turmeric, which is the main ingredient in curry powder and is a powerful antioxidant that can neutralise harmful cancer-causing free radicals, reduce inflammation, slow the growth of tumours and helps build up our immunity. I like doubling this recipe so that I can freeze the left overs (which lasts well for up to 3 weeks). Enjoy! 4 medium sized sweet potatoes (washed and peeled). Chop the sweet potato into small chunks and place onto a lined baking tray. Drizzle the coconut oil over the sweet potato and season with sea salt, pepper and sprinkle with cinnamon. Using your fingers, massage the sweet potato in with the coconut oil and spices. Roast for around 30 minutes or until the sweet potato is cooked and soft. 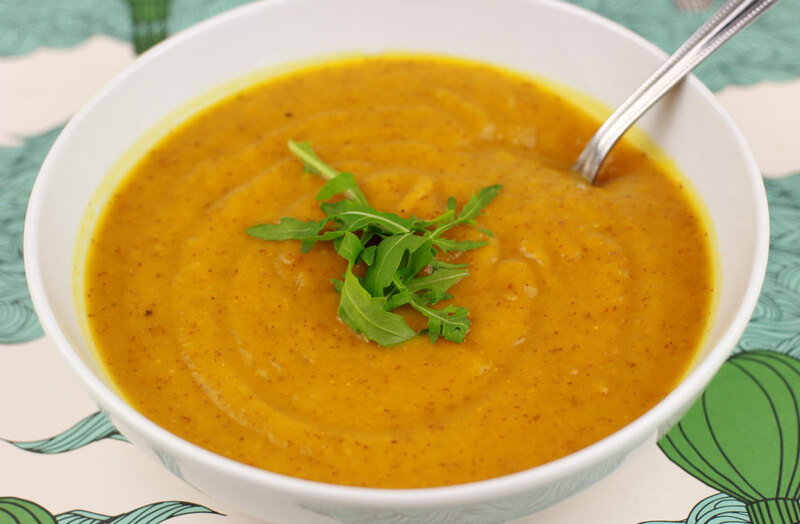 Place sweet potato into a blender, add vegetable stock, lemon juice and curry powder and blend until smooth. Add another cup of water to adjust consistency. Place in a medium pot and heat for a further 4-5 mins. Serve and garnish with coriander.